3.1A current, smart USB port, MPS technology. Equipped with dual USB port, ORICO UCM-2U car charger delivers the fastest possible current of up to 3.1A overall, which can charge two digital devices simultaneously. Thanks to the MPS synchronous rectification technology of US, its electric energy conversion rate reaches up to 88%, which causes less unnecessary heat and is more environment-friendly. Aluminum alloy and stainless steel with good conductivity and corrosion resistance processed by polishing, laser etching technology is more durable; gold and silver both match with your car. Solid structure makes it an emergency hammer under special conditions, to break the window and keep you safe. Small size occupies little car space, and metal chassis perfectly matches with your car. UCM-2U is compatible with most 5V electronic devices on the market including cellphones, tablets, e-books, mini speakers, Bluetooth headphones, MP3, MP4, PDA, PSP, GPS and etc; input voltage: 12 – 24V, work with cars or trucks. 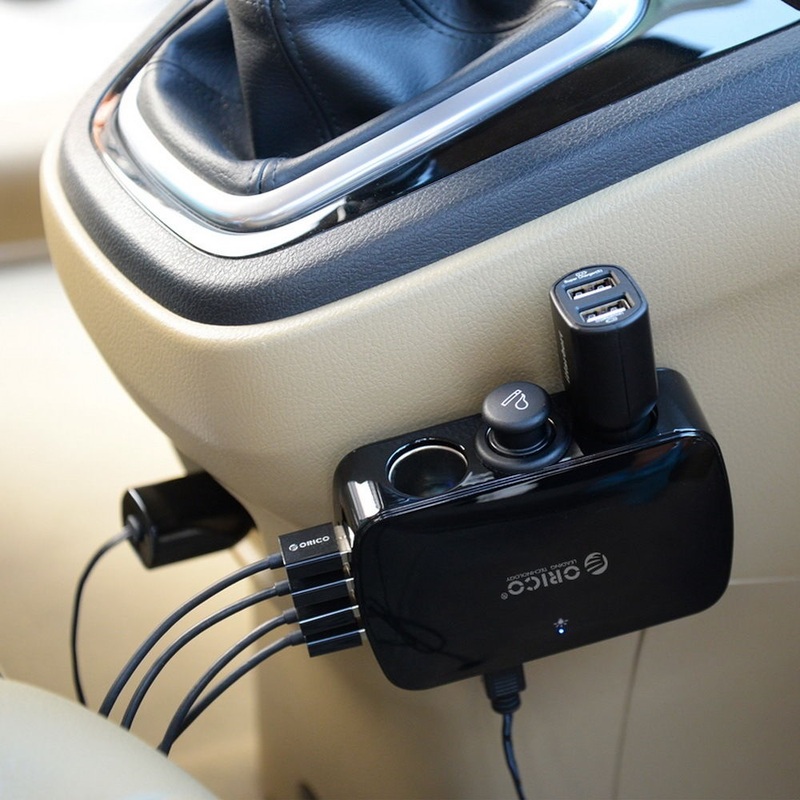 Built-in over current / voltage / charge / load protection and short circuit protection keep devices and car safe. Qualcomm announced the cellphone with QC3.0 technology provides 0 – 80% energy in 35min, which is backwards compatible with QC2.0, 1.0; extra mechanism protects battery life. Quick Charge3.0 boosts 200mV each time, which makes cellphone obtain ideal voltage and current to reduce energy loss and improve charging efficiency. 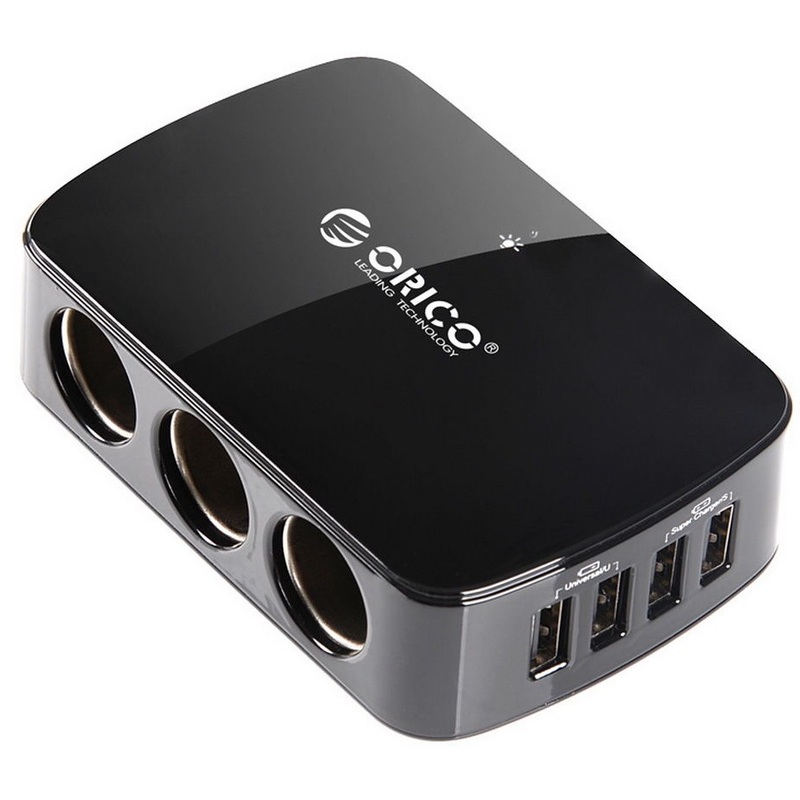 Equipped with 3 USB ports (QC3.0 * 1, 5V2.4A * 1, 5V1A * 1), ORICO UCH-Q3 pumps out 35W to charge your cellphone, tablet and other electronic devices. Thanks to the synchronous rectification technology, its conversion rate improves a lot and charging efficiency is up to 85%, which causes less heat and is more environment-friendly. Built in intelligent controller, USB ports stop output when 5V1A port exceeds 2A and 5V2.4A / QC3.0 port surpasses 3A to avoid accidents; furthermore, regain power supply after reset. UCH-Q3 is compatible with most 5V electronic devices on the market including cellphones, tablets, e-books, mini speakers, Bluetooth headphones, MP3, MP4, PDA, PSP, GPS and etc; input voltage: 12 – 24V, work with cars or trucks. Compact size (45 x 76 x 25mm) allows you to put it into your bag or pocket; sleek design prevents scratching accidentally. Circuit Protection : Overload Protection, Surge Protection, Leakage Protection, etc. 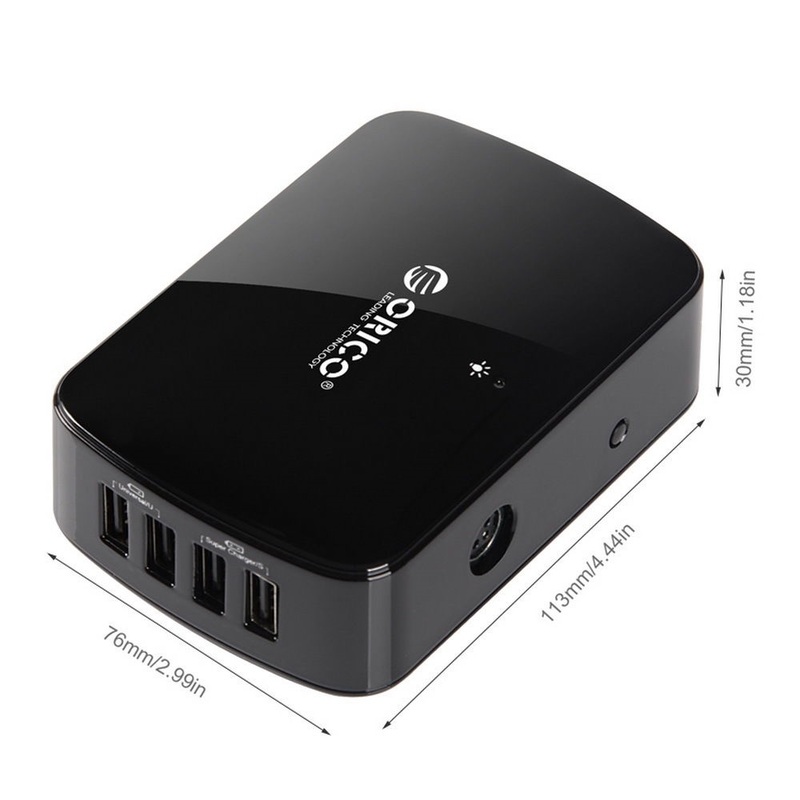 Compatible Devices : Cellphone, Tablet, Power Bank, Bluetooth Speaker, etc. 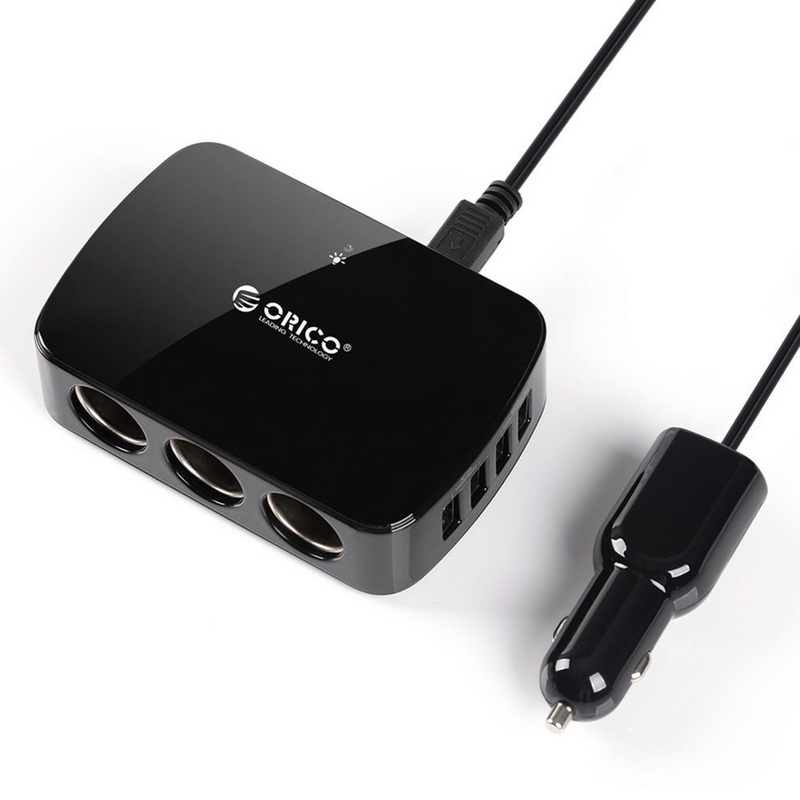 Orico MP-4U3S is an innovative car power charging station offers 7 power outlets including 3 x Car Cigarette Lighter Extension Socket and 4 USB charging port. It is a one-stop backup for your multiple electronic appliance such as car vacuum cleaner or GPS and USB-powered devices when you are out of a long journey of driving. With 1.2 meters car power cable in package, you can keep it away from where you need to access your dash board, hand brake, or from operating your vehicle.